Kathmandu, Jan 21 : Indian Prime Minister Narendra Modi telephoned CPN (UML) Chair KP Sharma Oli and extended New Year (2018) greetings Sunday afternoon. According to Chair Oli's press coordinator Chetan Adhikari, during the conversation, PM Modi said that he was waiting to welcome Oli in India soon after he was elected to the Prime Minister of Nepal. 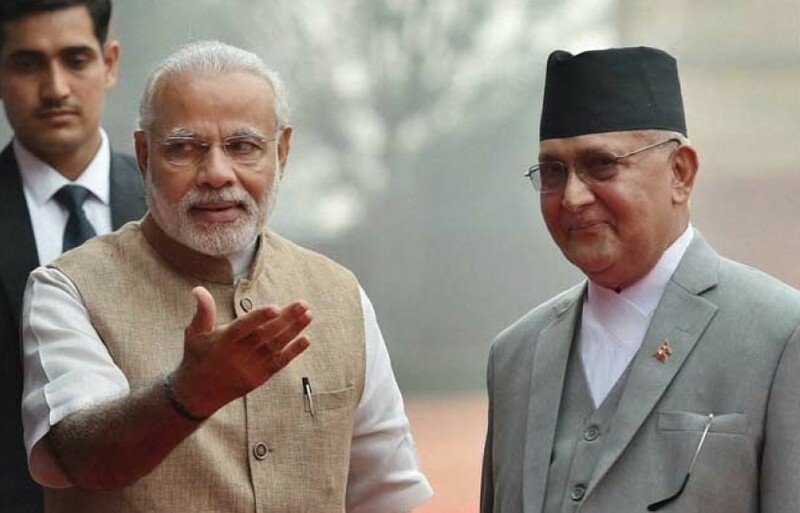 In response to the Indian PM Modi, with accepting his invitation to India visit, Chair Oli had also extended invitation to Modi for the visit to Nepal. While extending invitation to Modi, Oli suggested him that he could also visit Ram Janaki and Muktinath Temples during Nepal visit.